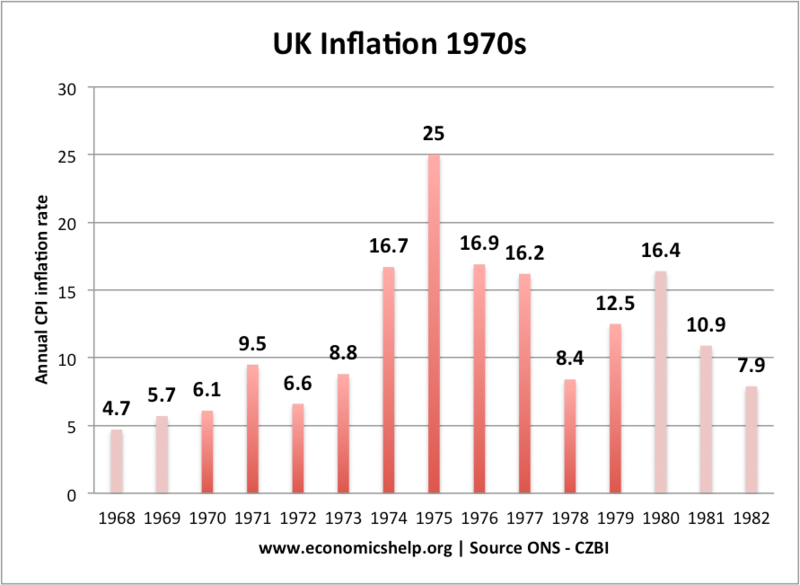 Readers Question I’m currently looking at stagflation in the mid-1970s in the UK, and the policies the then-Government undertook to solve the economic crisis. 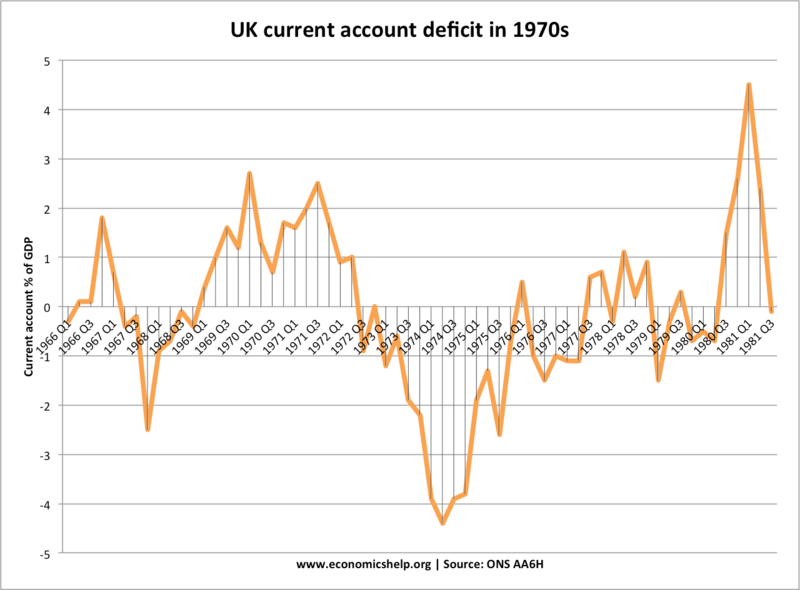 Was the Government right to widen the budget deficit 1974-5 in order to stimulate demand, or should it have run less expansionary policies to temper the effect of rising prices? Basically, the government faced a twin problem of rising prices (mainly cost-push) and falling demand. (This is known as stagflation) Therefore, they were faced with a difficult trade-off between inflation and unemployment. Graph showing combination of high inflation and falling output. Boosting aggregate demand in the mid 1970s wasn’t a prudent use of demand management. 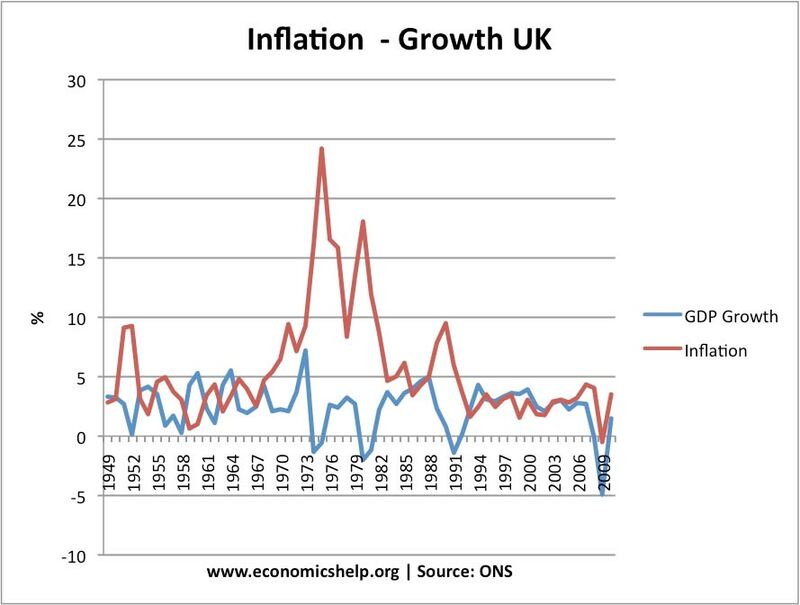 For example, in a liquidity trap of 2008, I felt there was a strong case for fiscal expansion, but in the mid 1970s, with inflation already rampant, it didn’t deal with the fundamental problems of UK economy but led to a short-term boom and bust. Another factor to consider is how much expansionary fiscal policy actually helped boost economic growth and keep unemployment low. From a theoretical perspective, economists will certainly disagree about this. Monetarists argue that such a fiscal expansion does very little to boost real GDP in the long run. They will argue that it mainly causes crowding out and rising inflation expectations. Keynesians however argue that a fiscal expansion does help stimulate an economy, suffering from a downturn. Readers Question: Was there any policies the Government could have enacted to try and reduce both the rate of inflation and unemployment simultaneously? Reduce the power of trades unions to help reduce wage-push inflation and real wage unemployment. Ending state subsidies to inefficient industries. Education and training to help structurally unemployed workers move to new jobs. The government tried to implement wage and prices controls, but this largely proved unsuccessful in combating inflation. It was ended in 1979 when Mrs Thatcher came to power. Many of these supply-side policies were introduced in the 1980s, with mixed results. The economic policies of Mrs Thatcher from 1979-1983 were successful in combating inflation, but it was at a cost of a deep recession of 1981. This entry was posted in uk economy, unemployment. Bookmark the permalink. ← How Does the EU affect UK debt?